Fan Engineering (Midlands) Limited have established themselves as market leaders in industrial fan design and manufacture, this position can only be maintained by having modern production facilities and utilizing "state of the art" technology. From the initial enquiry to the final delivery of the your fan, modern technology is involved. By using up to date cad/cam facilities for selection, design and manufacture and the latest IT programs to track production and delivery we offer first class quality along with very competitive prices. 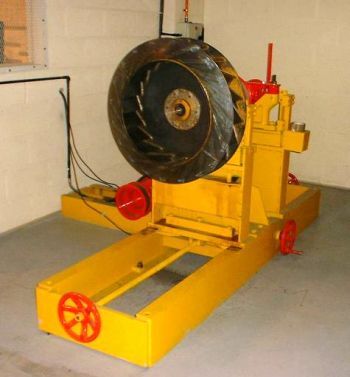 Fan Engineering (Midlands) Limited have their main works in Tamworth, 10 miles north of Birmingham. Conveniently situated 1 mile from junction 10 of the M42. 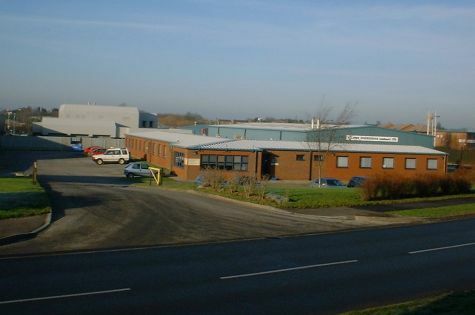 This factory site covers 1.25 acres, and has over 15000 square foot of offices & work shops. This modern factory enables us to maintain high production levels whilst at the same time implementing current quality assurance standards. Modern industry demands fans that are both high quality and very reliable. Our top priority is to ensure that all products leaving our works will provide long and problem free operation. Our quality procedures follow the best practices of ISO 9000, and are fully traceable. To ensure that we meet these quality standards inspection and appraisal starts from the moment that the order is received, and follows through all stages of design, fabrication & assembly. The final stage is a full speed run test, to check the fan balance, bearings, vee belt drive, motor etc. The electric motors are run using a 75 KW inverter control, with this we can run motors up to 75 KW at full power and larger motors up to 200 KW at reduced power. 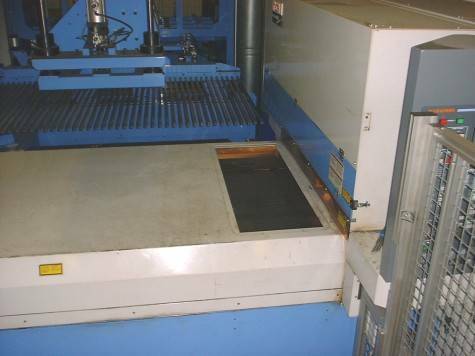 State of the art Yamazaki Laser Machine, with automated on and off loading facilities. 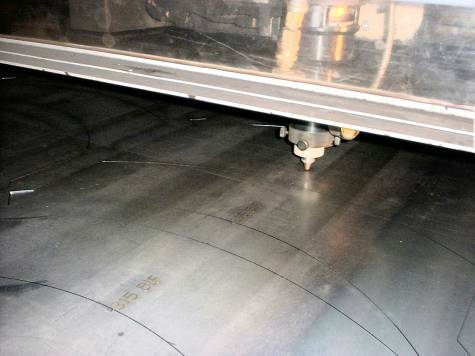 Mild steel up to 18 mm thick and stainless steel up to 12 mm thick can precision cut on this machine. This is linked up to our computer aided design department. All centrifugal fan impellers are dynamically balanced before assembly in to their fan case, in general they are balanced to ISO 6.3 standard, and new fans will have a vibration level of 3.0 mm/s or less. When the fan is completed it is run tested as part of our final quality inspection, and the vibration levels are recorded for future reference.